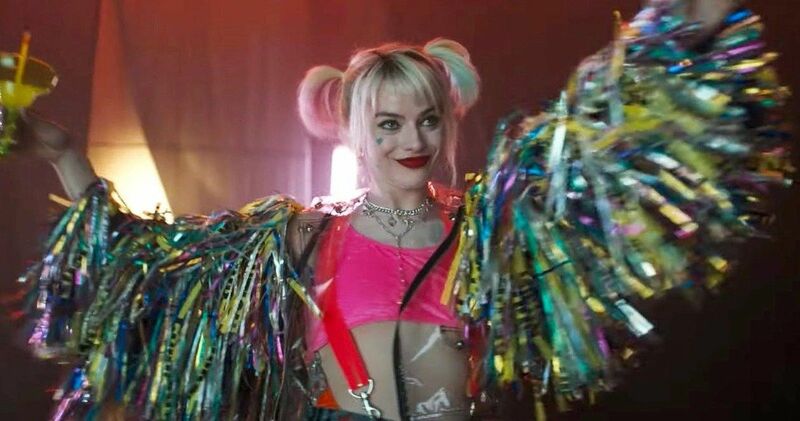 Birds of Prey is officially underway and we even have a brief teaser already, which offers our first look at the main characters set to appear in this latest DC Comics adaptation. Ever since the moment that Suicide Squad shattered the box office, Warner Bros. has been working on a spin-off movie centered on Margot Robbie’s Harley Quinn. Several projects entered development, but this is the one that managed to get the green light and, after much discussion, it’s on the road to becoming a reality. And it already looks wild. The teaser, released on a newly launched YouTube channel called CheekySneakyPeeky, is simply titled “See You Soon” and features damn near frustrating, brief looks at the core cast. We see Margot Robbie as Harley Quinn in her new outfit, signature mallet in hand. There are very quick glances at Mary Elizabeth Winstead as Huntress, Jurnee Smollett-Bell as Black Canary and Ewan McGregor as the villainous Black Mask, who is set to be the main antagonist of the movie. Though, unfortunately, McGregor is not rocking the character’s signature mask. Instead, he’s sporting a million dollar grin. But that’s good enough for now. There are a couple of shots that aren’t perfectly clear as to who they’re revealing. One shot features a silhouetted individual tipping up a bottle of booze. This could be Renee Montoya, a member of the Gotham City PD, to be played by Rosie Perez. We also see a young girl with a pink cast on her arm. While there is no way to confirm, this could be our first look at Ella Jay Basco as Cassandra Cain, who is one of the characters in the DC universe who eventually takes up the mantle of Batgirl. It concludes with a longer shot of Harley Quinn, who looks like she’s ready to spend all night at a rave. It’s a short teaser, but there’s a lot going on. Margot Robbie also took to Instagram earlier to share a new photo of herself as Harley Quinn. It’s clear that this movie is going to have a very different tone than what we’re accustomed to. The official title, in its entirety, is Birds of Prey (And The Fantabulous Emancipation of One Harley Quinn). Which, on its own, is telling. The script comes from Christina Hodson (Bumblebee), with Cathy Yan (Dead Pigs) in the director’s chair. It’s female-driven from top to bottom. This is the first DC movie to enter production since Aquaman became the highest-grossing DC Comics movie ever at the box office. There is heat behind the brand right now and Warner Bros. is surely going to do their best to capitalize. Birds of Prey is one of two movies confirmed for 2020, set to arrive on February 7. It will be followed up by Wonder Woman 1984 on June 5, 2020. We’ll be sure to keep you posted as more details on the project are made available. Be sure to check out the teaser from the CheekySneakyPeeky YouTube channel below.